If there is something in your life that scares you, challenges you or intimidates you, you need to face it and deal with it. But before you start doing anything about it, in your mind you have to tell yourself that you are greater than your anxiety and fears. If you notice that your heartbeat is getting faster or if you have sweating palms, stop what you are doing for a while. Be aware of your condition first and don’t distract yourself. Sit down, place your palm on your stomach and start breathing slowly and deeply. If you are in a place where you cannot sit down, be where you are, even if you are standing, start breathing slowly and deeply and pay complete attention to your breathing, only concentrate on your breathing. This exercise will help your mind to get over the panic state and you will also stop experiencing fear. I know it is easier said than done but this is the best thing you can do for getting rid of your fears. Start getting in a frame of mind first where you know that you are going to face your fears. By avoiding your fears, you are only making life scarier for yourself. When you start dealing with your fears, you will notice that your fears stop intimidating you. We all have responsibilities! Even though we are stressed and tensed, we don’t really get time for ourselves and at times we don’t feel like doing anything for ourselves because of all the stress. 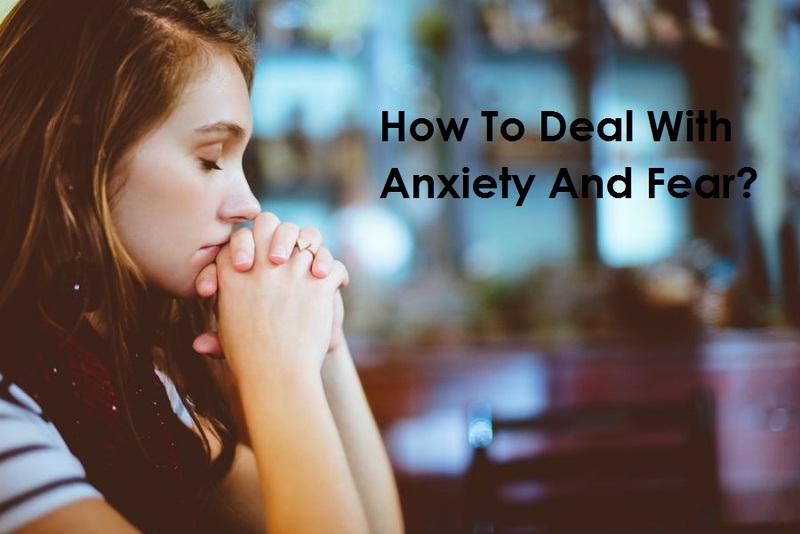 If you want to deal with your anxiety, tension and fear, it is important to think clearly and it is impossible to think clearly when you are overloaded with negative emotions. Take time out for yourself, be with yourself and have a conversation with yourself, believe me you will get answers to almost everything. For instance your ‘me’ time can be while taking a 15 minutes’ walk, while having a cup of tea or while taking a shower. Life is about imperfections, no one can ever have everything on the plate at the same time. You might be having your own stress factors and tensions. If you think that you have to be perfect all the time, that’s not the case. It’s okay if your life is not completely perfect! Accept the imperfections, your own and of the people around you and be a little soft with yourself. It is the truth that your mind has immense power. In the few moments when you are in your bed and about to sleep, imagine your life to be a place that is safe, full of happiness and calm. For instance, you might think of a situation where you are walking on a beach or a situation where you have something that you have always wanted or just imagine some happy memories from your childhood. Let the positive and happy feelings embrace you and feel completely relaxed.